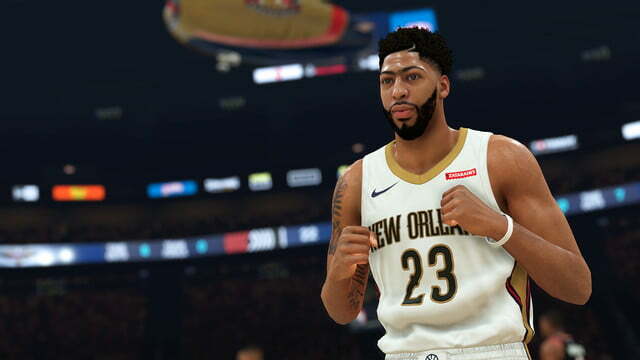 Definitive tips to help guide you towards NBA 2K19 My Career superstardom. 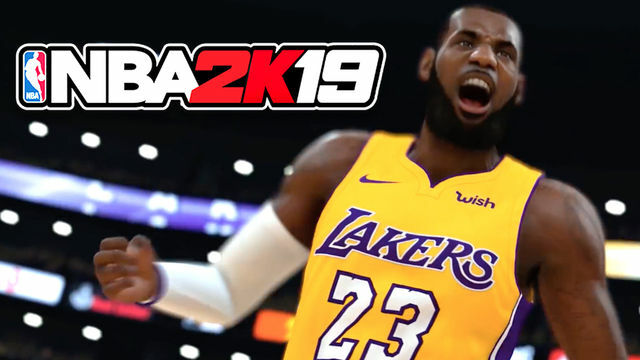 With yet another year of NBA 2K now upon us, we return to the franchise’s most popular mode in My Career, and hopefully help guide you towards stardom. 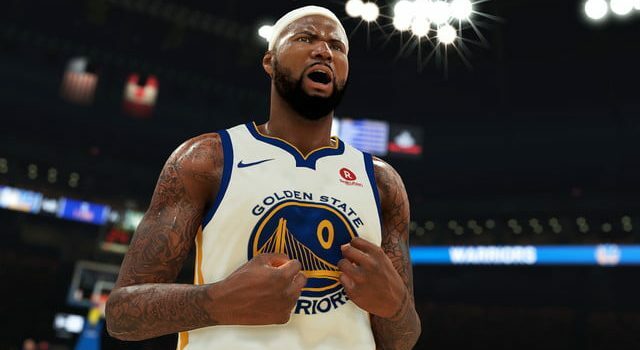 For years, the My Career mode has made the NBA 2K franchise the undisputed king of the sports game genre, offering players the opportunity to fulfil the dream of rising from rags to riches on the way towards being one of the NBA’s premiere players. This long and at-times repetitive grind continues to evolve year-on-year, changing the way a narrative-based story fuels the drive towards being the league’s most dominant and popular player. 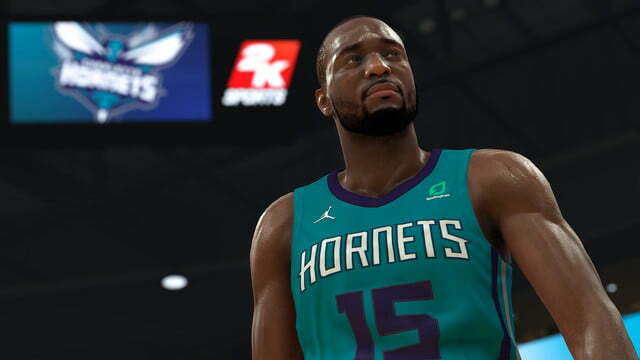 With a continued focus on gameplay and progression, let’s take a look at some necessary tips to help you rise the ranks to the top of the NBA in NBA 2K19‘s My Career mode. For the initiated here, the information included in this guide will be all-too-familiar. 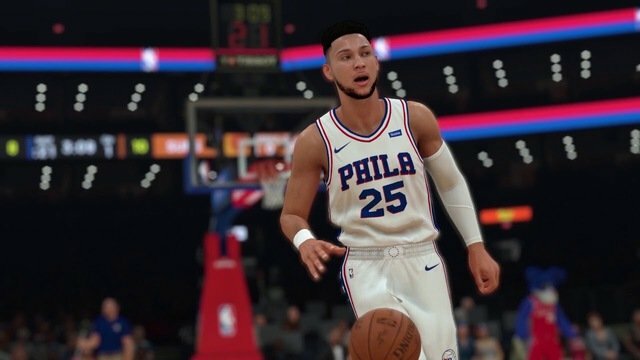 However for those new to NBA 2K, the creation and progression of the mode can be quite overwhelming, so hopefully this guide can take you through the basics and help you on your way to becoming an NBA superstar. 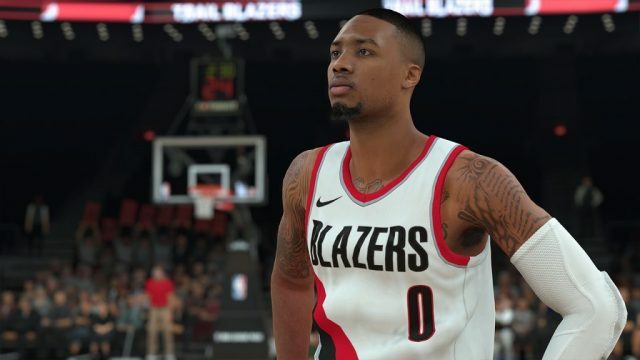 While there is normally a steep learning curve with NBA 2K games, My Career is fun and forgiving enough over time to allow you to slowly but surely master the experience. Don’t be deterred by poor performance ratings, as all these really do is prolong the ineivitible: keep at it, and keep a firm eye on the end goal. 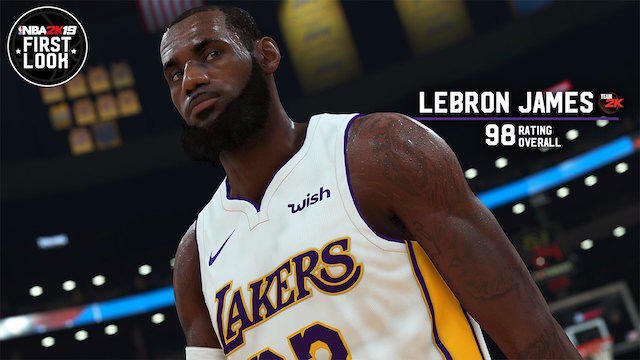 So, want to know how to quickly build your MyPlayer up to level 99 and dominate the NBA? Here are some tips. The trick when creating your player in My Career is not to get bogged down by all that’s on offer, as there’s an intimidating range of player styles, resources and skills available to you. Ultimately, you want to create a player that is well-rounded, one that is balanced next to what’s expected of the specific position you’ve chosen. 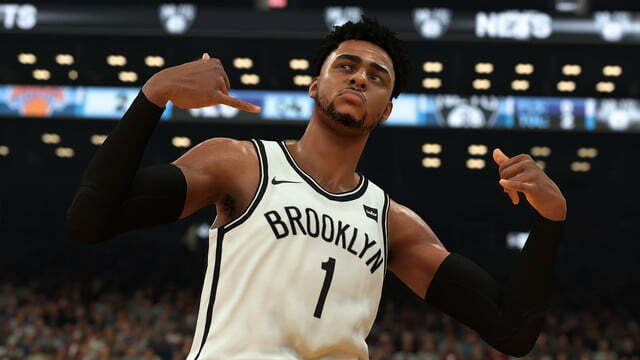 Importantly, creating a player that suits your own NBA 2K play style is integral, not only to ensure the mode remains most enjoyable for yourself, but so it best encapsulates the best of what NBA 2K has to offer. Before stepping out in The Prelude, decide on the kind of player you want to be: is controlling the play more suitable? 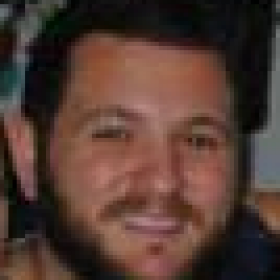 To distribute and dictate the terms of a match? Then, obviously, Point Guard (PG) is what you should be leaning towards. The SG and SF positions are more suitable if you like moving off the ball and shooting off the dribble, although both positions demand more defensive accountability and off-ball movement. Tougher positions to play, there is an obligation here to get into good position for your teammates. The C and PF positions are different beasts all together. Hit the boards, set screens, and play D down in the post: demand the ball when you know you have the capacity to beat the opponent close to the basket. If you lack proficiency in these areas, My Career won’t be kind to you. Don’t let this part of the player creation suit get to you. Ideally, you want to choose two skills that balance your player out realistically next to the expectations of the position. 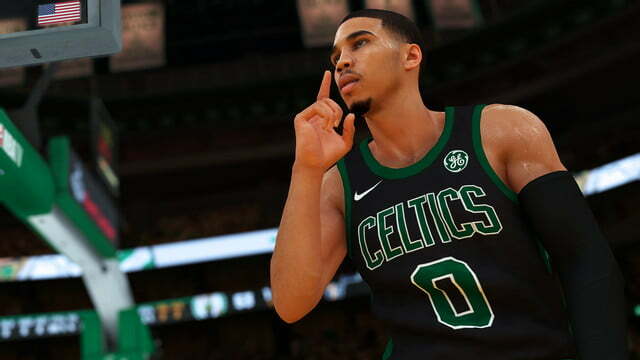 With a PG, for example, Passing & Ball Handling as a Primary Skill will increase or decrease the maximum attribute cap for skills more or less relatable to the skill itself, respectively. Obviously Passing is more important than Blocking for a PG. If you absolutely want to go down that path, by all means, but no one wants a blocking PG that can’t pass. What’s the point? Who do you want to be? What sort of player do you want to guide through the ranks? Do you want a defensive, low-post scoring centre? Or a driving and finishing, 3-point shooting SG? Positions each have caps for attributes that fall in line with the expectations of the position, so be wary of this. 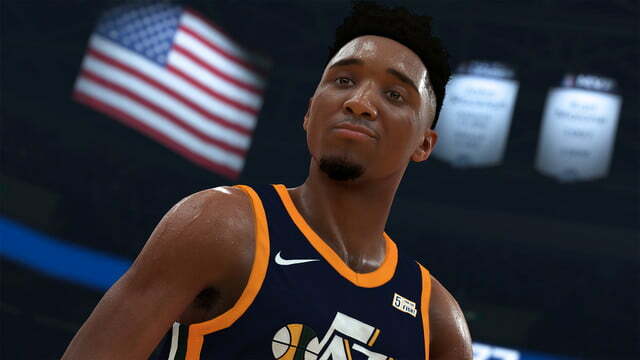 As an example, a PG can’t have a perfect dunk rating. So don’t choose a PG if you want to be a short dunker. It won’t happen. The body shape and size of your player is pivotal, and again falls in line with the expectations and types of player you want to create. You can go for a small, lean PG, and they’re going to be fast, but they won’t be strong or especially agile. 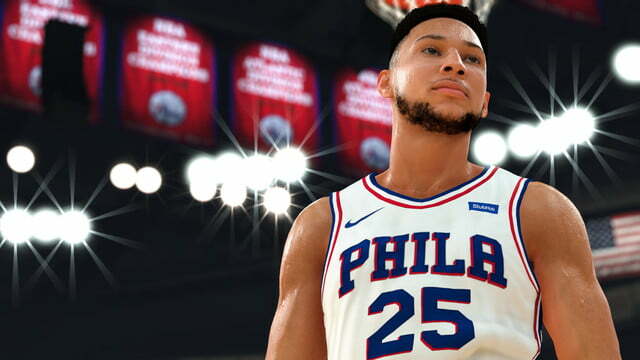 This makes it difficult to defend a, say, Ben Simmons. The game does a good job of telling you we’re going right or wrong. 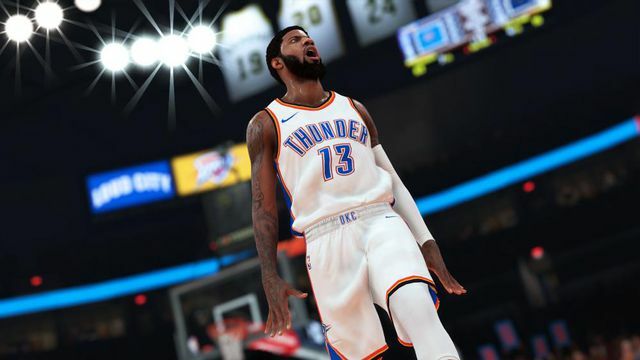 If you don’t quite have the time to grind through My Career, then choosing one of PG, SG or SF would be the best option for you. That way you’re getting your hands on the ball, whereas C and PF are both playing at the mercy of their guards. If you’re confident with your shooting, then go with a guard position. Here are the five attributes you should focus on above all else for each position and the corresponding play style (in order of importance). Skills will be capped depending on the type of Primary and Secondary Skills you choose. Body shape also plays an important role in this instance, which will need to be designed to suit the specifications of the position and body you’ve created. Ideally you want to create a well-rounded and balanced player, with a key focus on the attributes listed above. Jump shooting for guards and rebounding for forwards isn’t a complete necessity. You can skill expand the skillset into other areas to make players at this position reliable in other areas. On your way to NBA stardom, you’re going to need to start things off by performing from day one. However, performing in the gym and selecting the right skills won’t get the job done alone. 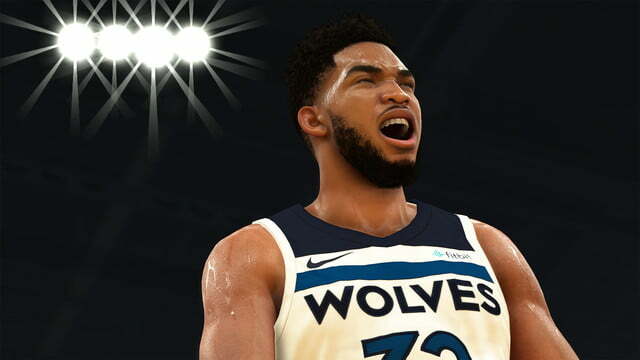 You’ll need to ensure you’re getting many an A+ rating to get through games and boost up the rankings as quickly as possible. Ideally, you want to not try and dominate in the early days. That can be tough with wanting to be involved in every single play, but forcing shots, demanding passes and setting bad screens will lead to a poor teammate grade. You don’t want to cause a turnover, because that’s the worst possible thing to do for your team. If your rating hits a low range, your VC earnings will decrease, making it toucher to climb. The most important tip on offense is to only take open shots. 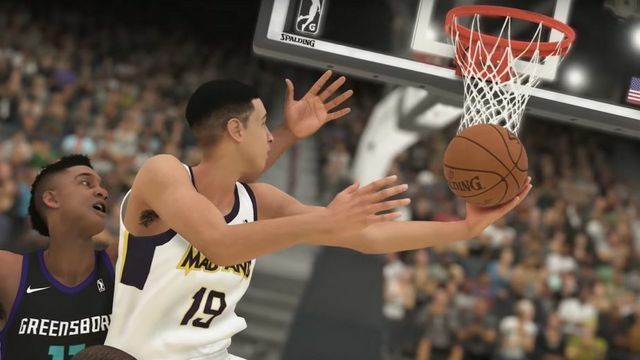 Shooting through traffic or forcing shots over defenders, especially early on in your player’s career, will hurting your standing with your teammates, unless by some miracle you manage to make these shots. Hit the gym as often as possible, practice shooting and discover where your player’s sweet spot is. If you guy can’t hit the backside of a bard, don’t take jumpshots, and don’t force it. A “bad shot penalty” is the My Career equivalent of being sent to the G League. Get into space by calling for screens from teammates, and faking and then driving past open for an open shot. 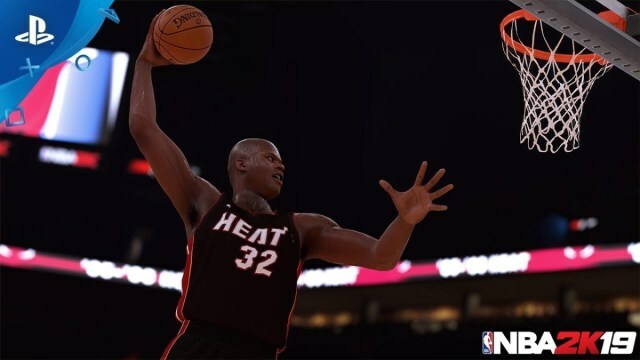 Utilise your team’s best shooters so that you get either an Assist or Pass-To-Assist grade rating. This earns an incredible amount of VC. Understand your teammates, and know how to best utilise them. Memorise hot and cold spots on the court, and know where your team thrives. Don’t over dribble or force the dribble, because the AI can and will punish you, causing a turnover. If you do cause a turnover, get back onto defense as quickly as possible: while you’ll lose teammate grade for losing possession, you can make some (but not all) of it back by filling the lane and contesting any fastbreak shot. You want to avoid the double penalty at all costs: Turnover, and then Score off Turnover. Screens are also a fantastic way to boost teammate rating. Press B/Square to set a screen, but make sure your player’s feet are planted and not moving when the opposition player crashes into them. If you’re moving when this happens, it’s an offensive foul. If your team scores off a screen you’ve set, you’ll get a teammate boost for a good screen and a “screen assist”. Much like those in the NBA 2K series before it, NBA 2K18 is an “easy to play, hard to master” beast. It can be a brutal mistress, especially considering the fast nature of the experience. Good defense is key to a good teammate grade. So long as you defend well you won’t get a penalty: you may ever get a grade boost for good defense and shot contention. So long as you don’t give your direct opponent on open jumper or lane to the basket, you should be okay. You should also learn how to utilise lock-on defense, but don’t over-do it. This allows you to “stick” to the defender, but it leaves you vulnerable to ankle breakers and quick drives to the basket. Keep a good distance, but not too far, just close enough to be able to both contest the ball and move into space should the player drive to the basket. 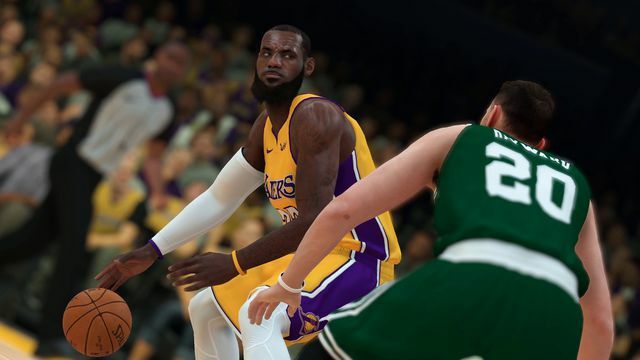 You don’t need to jump when they take a shot: if you’re close enough when locked-on, your player will automatically content the shot. Jumping may cause a foul, which will land you a penalty. If you foul while defending well, generally there’s no punishment or reward either way. Stay ring-side of your opponent so as to be between them and the key. A block, steal, or defensive lockdown is a fantastic way to boost teammate grade: it’s not all about scoring points! 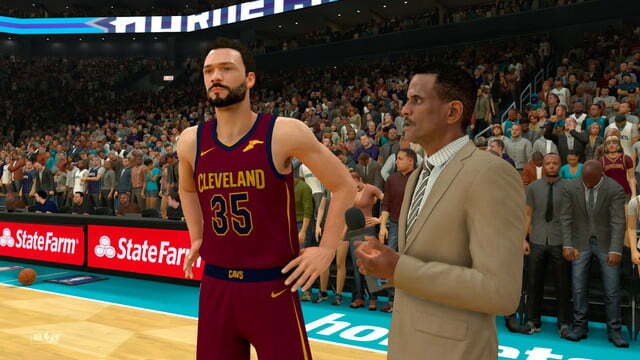 Stay awake and wary of screens from the opposition: be sure to get around them and stick to your player. 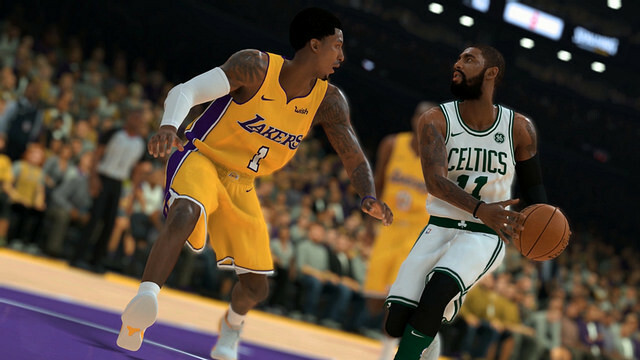 The AI will always want to create mismatches on the court, so step back from a screen and stick to your direct opponent as much as possible. Don’t force steals. If the opportunity is there, try once and that’s it: spamming the steal button will just lead to a reach-in foul and teammate penalty.